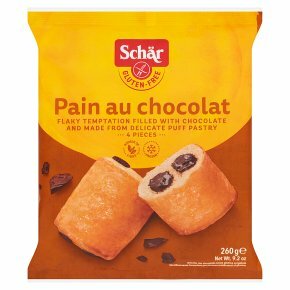 Flaky temptation filled with chocolate and made from delicate puff pastry. This product is made from gluten-free ingredients. Bake in a pre-heated oven at 200ºC for 9 minutes.